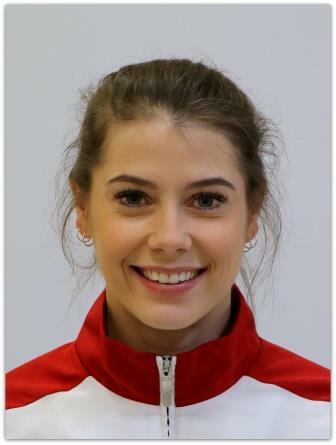 Georgia Bonora is notably one of WGC and Australia’s most decorated gymnasts being a dual Olympian (2008 Beijing and 2012 London Olympics) and World Championships team member (2006, 2007, 2009 and 2010). She also competed at the 2010 Dehli Commonwealth Games where she was part of the Gold medal winning Australian Team, and achieved a Bronze medal in the All Around final, and Silver medal in the Bars final. Georgia began her coaching journey in 2014 across both WGC’s ALP and elite programs. Georgia currently coaches with John Hart working with current Senior International athletes and is responsible for our Development Squad 4 group that includes athletes on the elite pathway competing in levels 5 and 6. Georgia had great success this year with a senior athlete being selected for the 2018 Pacific Rim event and then going on to win a gold medal in the beam final at this event. Georgia has also had success working with athletes in ALP 7-10 producing good results at Victorian Championships as well as elite pathway junior area athletes podium finishes at IL Challenge. Georgia was jointly awarded Gymnastics Victoria ‘Coaching Team of the Year’ in 2017. WGC is extremely grateful to have Georgia as part of our coaching staff with her extensive experience as an athlete and now being a coach to pass on this knowledge to the athletes.